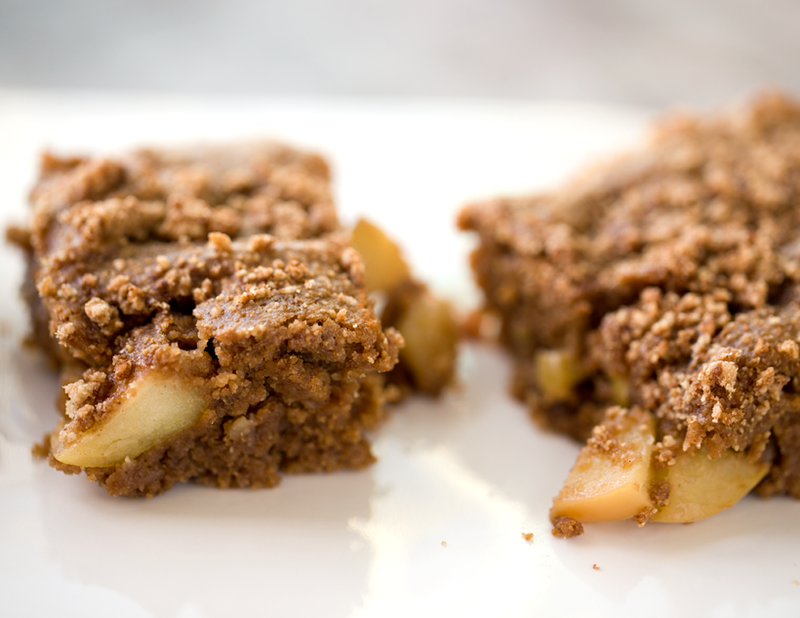 Apple Walnut Crumble Coffee Cake. Vegan + Gluten Free. Fall Baking! Well it is that time of year. Fall baking season! I get way too excited about apples, cinnamon, pumpkin, nutmeg, citrus and vanilla bean flavors this time of year. I love pairing fall baking goodies with a warm mug of tea, a matcha latte or hot pumpkin mug. 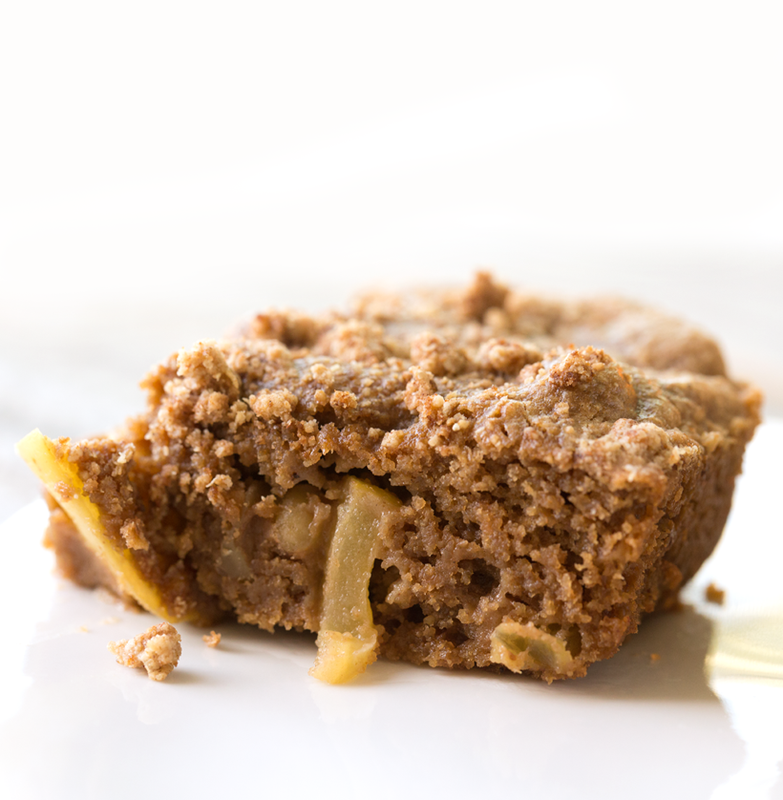 This Apple Walnut Crumble Coffee Cake is vegan and gluten free and so freaking yummy! I have been nibbling it nonstop since I made it yesterday. It pairs so perfectly with a warm beverage. It has loads of walnuts both in chunks and in the flour base. 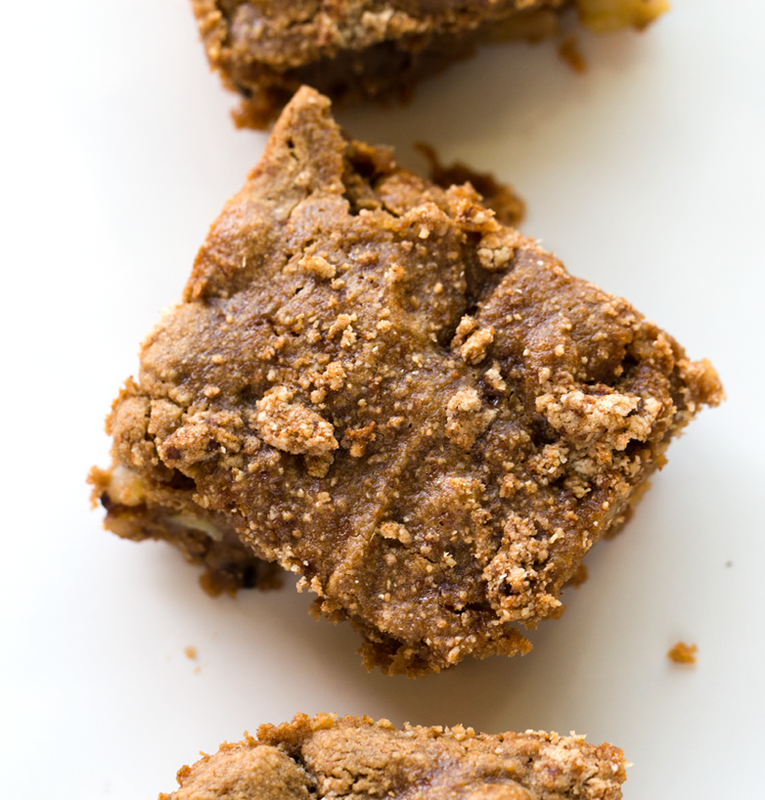 This cake is super moist, crumbly, spiced and fluffy like a coffee cake should be. I really hope you try this recipe and love it as much as I do. Bonus: Your whole house will smell dreamy from baking this. 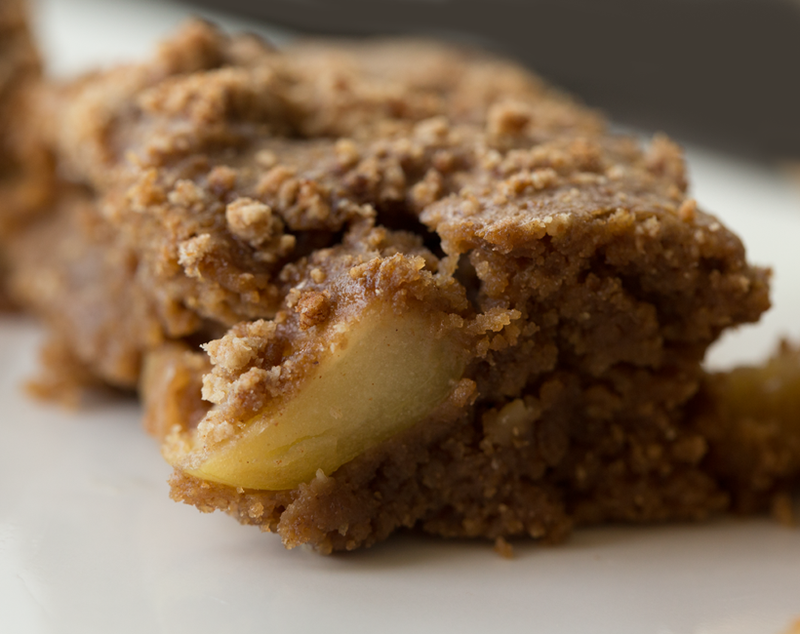 Kinda tastes like apple pie, in coffee cake form. Tip! If you want to skip the added coconut oil, you totally could. Just sub with applesauce or vegan plain yogurt. 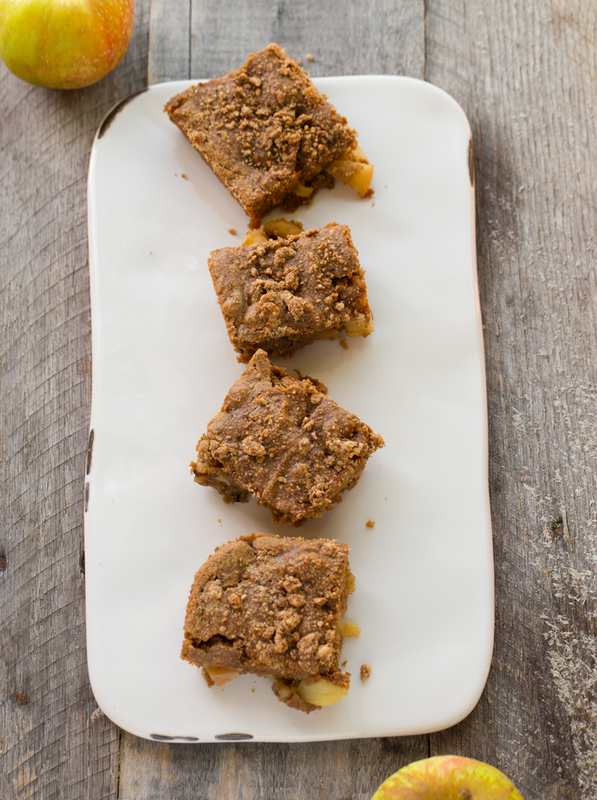 This fluffy coffee cake tastes like apple pie. 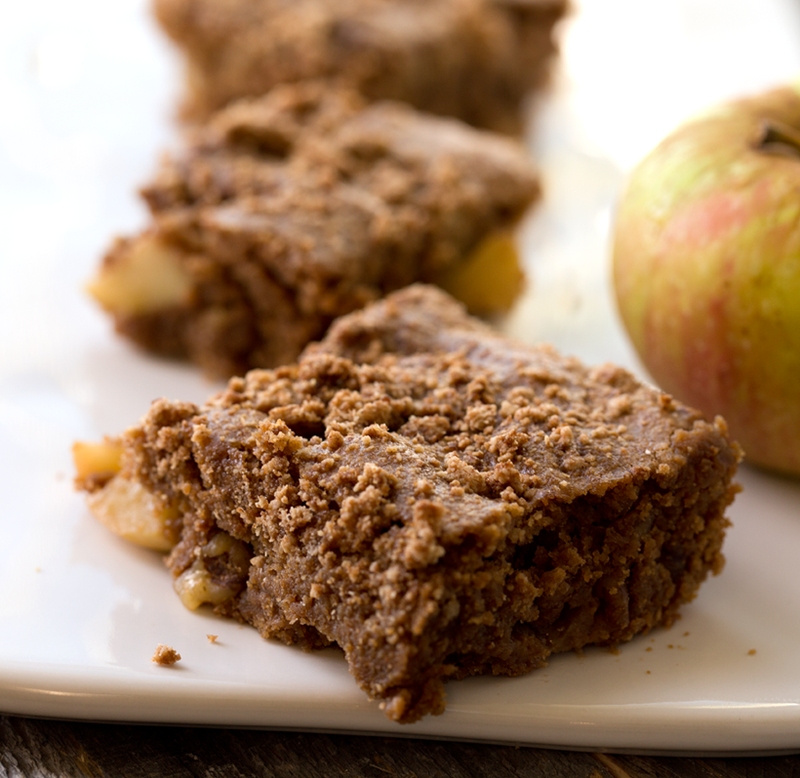 It is warming, spiced with chunks of walnuts and apples. Gluten free too! Preheat oven to 350 degrees. Grease a 8 or 9 inch square baking dish with coconut oil - about 1-2 tsp. Add all the wet ingredients to a blender and blend from low to high until smooth. Pour the wet into the dry and mix well, until smooth and fluffy. You can use a hand or stand mixer if desired. Fold in the walnuts and apples. 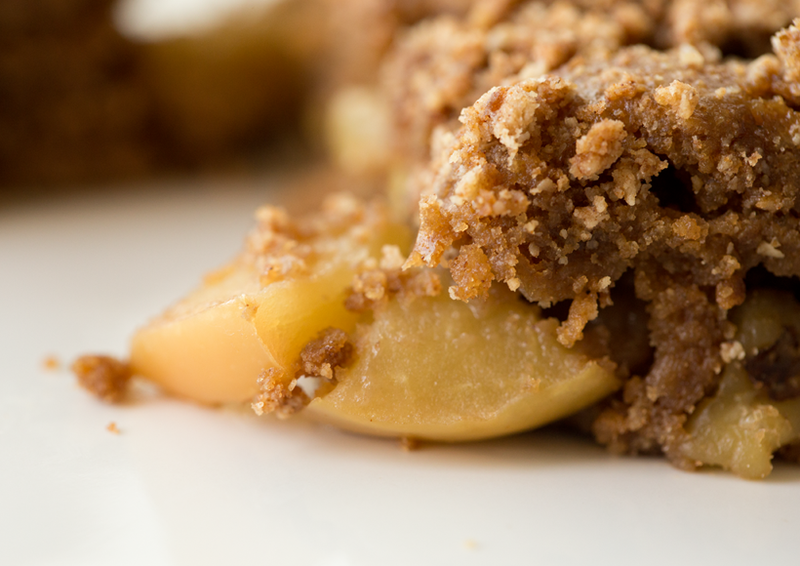 Add all the crumble topping ingredients to the "dirty" mixing bowl - no need to clean the leftover batter. Mix well and crumble the mixture over top the batter. Bake at 350 degrees for 25 minutes - or until a toothpick inserted in the center comes out clean. The top of the cake should be firm and fluffy to touch when done. Serve! Store leftover in the fridge and serve warm or chilled. Walnuts are rich in healthy fats and fiber. Plus there is loads of fiber form the apples and banana and oats!